We are absolutely thrilled to announce that our Home Preservation Program (HPP) is funded for 2019! The program was established two years ago with the goal of preserving Columbus historic neighborhoods, one house at a time. HPP helps area homeowners repair, maintain and preserve the architectural integrity of their older homes. Thanks to the generosity of the Kelley Family, the Ohio Capital Corporation for Housing, and The Columbus Foundation, this important program will flourish in its third year. Under the leadership of Susan Keeny, a Registered Architect and LEED AP, the program is becoming a go-to resource for owners of historic homes, and is especially helpful to the fast-growing market of middle-class homeowners in our older neighborhoods. We are grateful to the City of Columbus and the Ohio Capital Corporation for initial funding of the program, and to our new partners for their vote of confidence and investment in us! HPP works with homeowners of houses 50 years old and older throughout Columbus, helping them to maintain the high-quality materials and excellent craftsmanship that can add value to their property. Top neighborhoods served by the program to date are: Franklin Park, Olde Towne East, Old Oaks, Merion Village, Southern Orchards, Driving Park and Weinland Park. In under three years, HPP has become a vital service, helping more than 500 homeowners. HPP is positioned to serve as a gateway to sustainability and economic vitality. As homeowners protect their most significant assets, the entire community benefits – house by house, block by block. 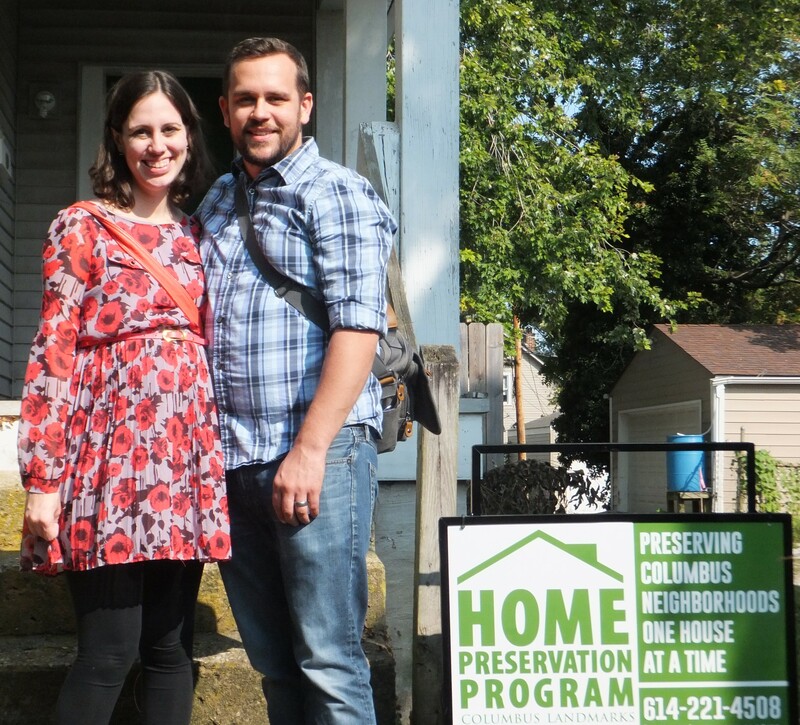 »LEARN MORE about Columbus Landmarks’ Home Preservation Program … can we help you? This is very inspiring. As a young man interested in getting involved with preservation trade skills, what are some possible ways to get involved or learn more, especially in a hands-on way? Thanks for your interest, Glenn! Please send Susan Keeny a quick email at skeeny@columbuslandmarks.org and she will fill you in!